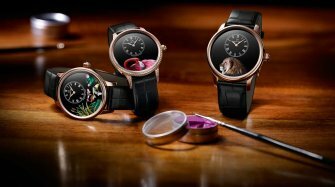 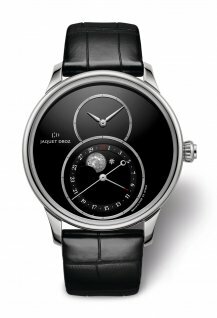 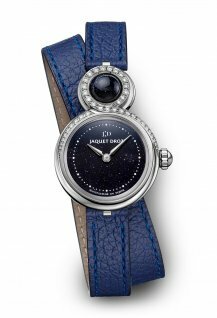 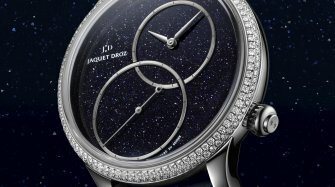 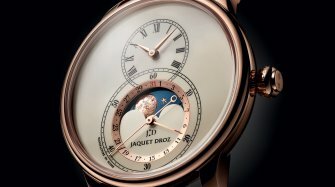 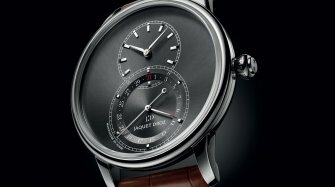 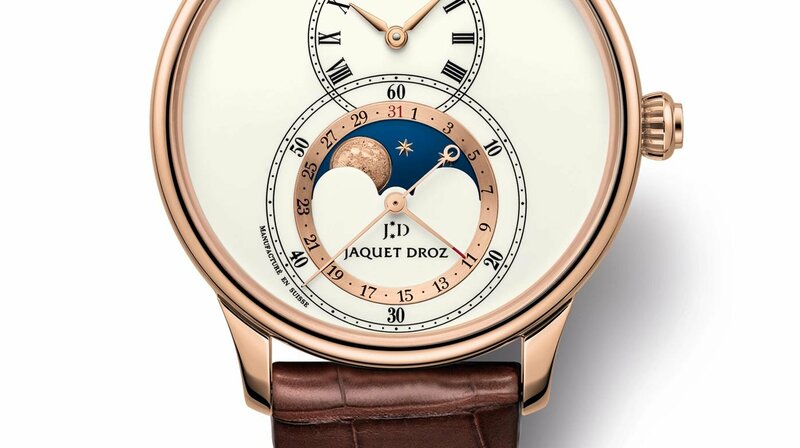 The Grande Seconde, an emblematic model of Jaquet Droz is adorned with a new watchmaking complication: moon phase display. 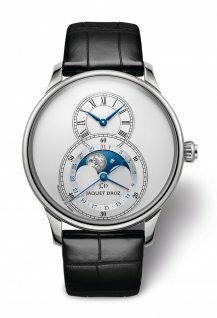 The Grande Seconde Moon Ivory Enamel features a double level ivory Grand Feu enamel dial, with a red gold applied ring. 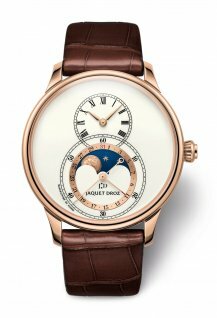 The 43 mm red gold case houses a self-winding mechanical movement offering a power reserve of 68 hours.